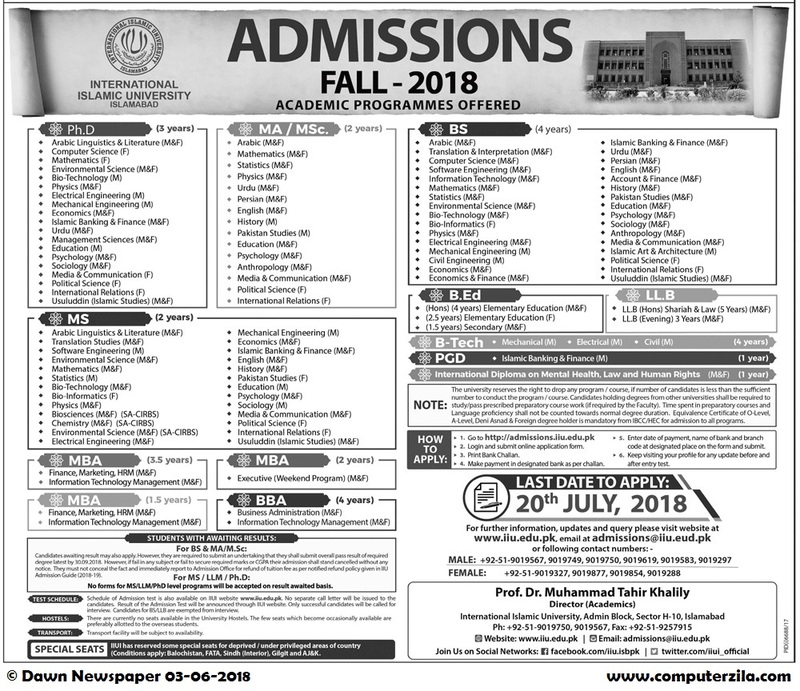 Admissions Open at International Islamic University's Islamabad Campus for the batch Fall 2018. IIU offers admissions in different fields of study for Bachelors, Masters, and Phd. you can apply for BS - Bachelor of Science, B.Ed. - Bachelor of Education, BSCS - BS Computer Science, BSSE - BS Software Engineering, and BSIT - BS Information Technology, MS - Master of Science, M.Sc. - Master of Science, M.A. - Master of Arts, MBA - Master of Business Administration, and MSSE - MS Software Engineering, Phd - Doctor of Philosophy, Phd Computer Science.